Walt Disney tells journalist & animation historian John Culhane: "The most important aim of any of the fine arts, is to get a purely emotional response from the beholder." The Wonderful World of Disney airs part 1 of "The Sky's the Limit" on NBC. grandfather to teach him to fly. Buena Vista Records/Hollywood Records releases Hilary Duff's second album Metamorphosis - which features the single "So Yesterday." dedicated to the family-friendly game - Disney's Toontown Online - features contests, games and a parade. 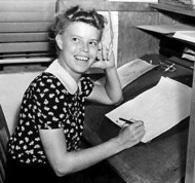 sketches caught the eye of Walt Disney who moved her to the Animation Department. Adventures of Ichabod and Mr. Toad and appeared on-screen in the Disney live-action studio tour film The Reluctant Dragon. She was laid-off from Disney during a periodic studio downsizing in late 1941, (partially as a result of the infamous Disney animators' strike in the summer of 1941) but was rehired by the Disney Studio in 1942 to once again work in the Story Department. Scott left Disney in 1946 and moved to the East Coast, where she continued to freelance, illustrating Disney publications such as the Big Golden Book edition of Disney's Cinderella. She will be named a Disney Legend in 2000.
seventh annual Teen Choice Awards, broadcast on FOX-TV. Musical 2 scores for Choice TV: Movie. six friends and their tween issues. The Little Mermaid: Ariel’s Beginning is released on DVD, as is Tim Burton's The Nightmare Before Christmas: 2-Disc Collector's Edition DVD. Ariel's Beginning is set before the events of the original Little Mermaid, where all music has been banned from the underwater kingdom of Atlantica by King Triton, and his youngest daughter Ariel attempts to challenge this law. Disney opens its newest exhibit - a hurricane simulator at Epcot which aims to teach visitors how to better protect their homes ahead of dangerous storms. Meteorologists and emergency management experts are among the first to experience the exhibit in the morning before it is opened to the public later in the afternoon. Kingdom Keepers II: Disney at Dawn, the second book in The Kingdom Keepers series set inside the Walt Disney World Resort, written by Ridley Pearson, is published by Disney Book Group. game trailers. His Disney credits will include the animated series Fillmore! and the feature Meet the Robinsons. 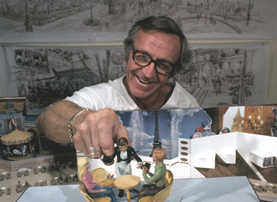 "Guys like Fred (Joerger) were kind of the heroes of the next generation of Imagineers." be greatly influenced by what he has experienced on this trip. set sail in early 2011. Jessica Alba (in her first film role). The Goofy cartoon Tennis Racquet is released. spectators, a Goofy announcer, and a Goofy groundskeeper tending the court during the match. of the projection technique known as Pepper's ghost, is born in Liverpool, England. still used today ... in Disney's Haunted Mansion! Cabo San Lucas and Puerto Vallarta, Mexico; Cartagena, Colombia; and Cozumel, Mexico. recordings of story meetings held at the Walt Disney Studios.